Pocatello – There has been a significant rise in the use of E-Cigs amongst teens, with the number tripling from 2013 to 2014, as per the report from the Center of Disease Control and Prevention. The greater part of these teens come from high schools, with the report citing that 13% of all high school students are using E-cigarettes, compared to 4.5% in 2013. The rise amongst middle school teens has been just 2%. Whether it is good or bad depends on the opinion that each person hold. 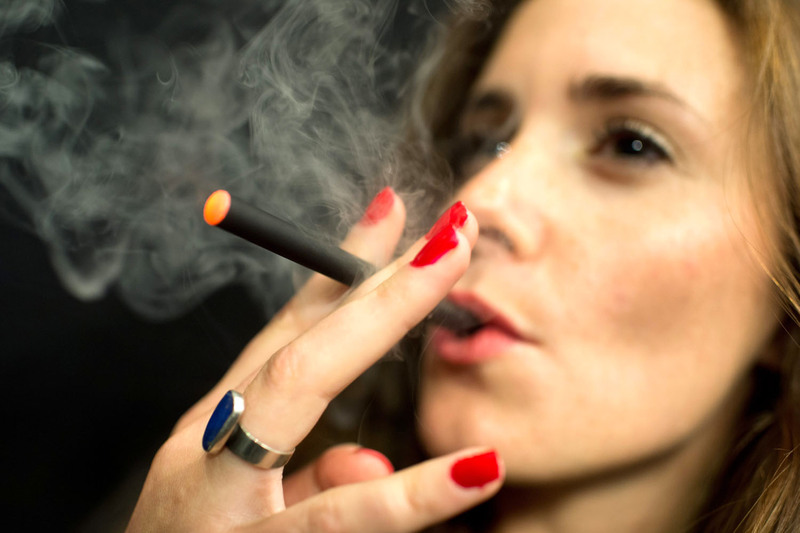 The CDC report stated that high school students preferred using E-cigarettes more than conventional tobacco ones. Still 9.2% of high school teens are reported to smoke tobacco. However, it is still to be kept in mind that E-Cigs have addictive nicotine in them. The might not produce smoke, which is harmful for the surrounding people, they still can cause great damage to the person using it. The law strictly prohibits the sale of E-Cigs to minors, but that has not been stopping the teens from buying it, says Brandon Fielder, an employee at Smoke This. Even though his shop ID’s everybody and careful enough to not even sell battery packs to under 18’s, but he has seen an increase in the number of teens trying to buy Vape’s and E-Cigs off him. He also pointed out that even non-smokers are being tempted to use Vape’s. The CDC report also cited that using nicotine can harm brain development in teens and can lead to addiction. It was also stated that 90% of smokers said that they started smoking as teens. However, E-Cigs have also been providing a way out for those smokers looking to quit. Using E-Cigs, gives them a way lower the amount of nicotine they intake and can slowly get rid of it. Health organizations have also reported that nicotine can also be absorbed through the skin, which can then create a nicotine overdose or even toxicity. This poses harm for those children, whose parents use E-Cigs and often leave their liquids unattended. Parents, take a moment with me and think this through. We were all teens once, therefore we know that IF your teens want to get their hands on something that is age restricted or straight up illegal, THEY WILL. If they’re going to be getting their hands on said products, what would you rather they be trying. Alcohol? Cocain? Cigarettes? Suddenly e-cigs don’t sound so bad. Just inhaling nicotine with some harmless vapor rather than nicotine + tar and chemicals, mind altering drugs, or alcohol seems like a pretty mild night out compared to some of the things I was doing at that age. Hmm… CDC averred in (Press Release year date deleted by CDC) The findings from the National Youth Tobacco Survey showed that the percentage of high school students who reported ever using an e-cigarette rose from 4.7 percent in 2011 to 10.0 percent in 2012. In the same time period, high school students using e-cigarettes [within the past 30 days] rose from 1.5 percent to 2.8 percent. Use also doubled among middle school students. Altogether, in 2012 more than 1.78 million middle and high school students nationwide had tried e-cigarettes. e-cigarette use (use on at least 1 day in the past 30 days) among high school students increased from 4.5 percent in 2013 to 13.4 percent in 2014, rising from approximately 660,000 to 2 million students. Among middle school students, current e-cigarette use more than tripled from 1.1 percent in 2013 to 3.9 percent in 2014—an increase from approximately 120,000 to 450,000 students. The increase of users is less than .25 percent over a three year period… from 2012 to 2015 the total amount written by the CDC was 1.78 million students (in 2012) used some form of nicotine as opposed to the current level (2015) of 2 million students. Are these Experts counting 2 million students as new users or are they counting existing/past students? Again, a difference of less than .25 percent. Students in the CDC 2012 report are now 3 years older and most likely no longer in high school. Where is the triple increase the CDC is averring? A Plaque of Experts is misinterpreted/misusing statistics to deceive/alarm the public into falsely believing in their facts.